Puerto Rico is in a state of crisis. In the wake of Hurricane Maria, mass flooding and destruction have put children throughout the island at risk. Please help UNICEF to get immediate, critical support — Emergency Relief Kits — to the children of Puerto Rico. Visit UNICEF now and help the children of Puerto Rico. Let’s help rebuild this beautiful country! Puerto Rico is one of the top Caribbean destinations, with its warm hospitality and an island that is full of wonders. There are so many sights to see on the island. 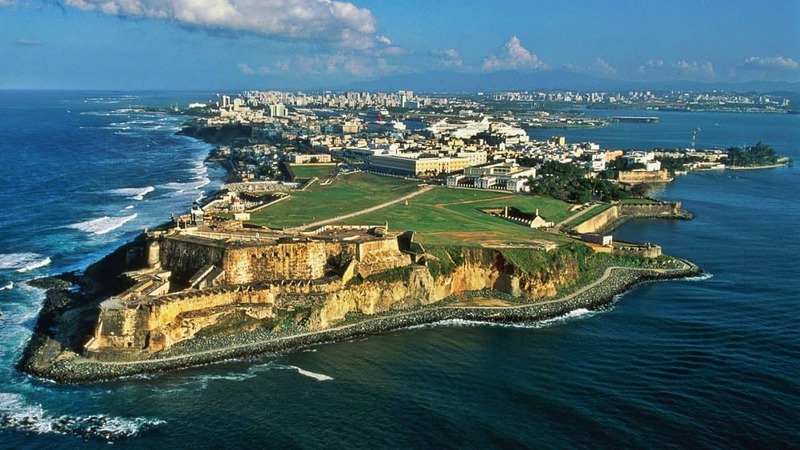 Puerto Rico is an archipelago made up of about 143 islands, cays and islets. The main island of Puerto Rico, Vieques & Culebra are the only inhabited islands. The offshore islands, cays and islets, are all very unique offering visitors the more natural side of Puerto Rico. You will not want to miss the Museo de Arte de Puerto Rico, the best art collection in the Caribbean. Take a day trip to the island of Culebra, explore the caves at Parque de las Cavernas del Rio Camuy, enjoy the sand and surf at Playa Flamenco, or paddle thru the Bioluminescent Bay off Vieques. Puerto Rico has modern amenities and services, with world class hotels, gorgeous beaches, fun city life, historic sites and natural treasures. It attracts millions of tourists every year, many who come back year after year. Experience a different state of mind while in Puerto Rico, and allow the island to enchant you. Taste their food, move to their music, feel the warmth of the people and allow the beauty of the land to embrace you. There’s so much wonder in Puerto Rico, you’ll be coming back for more. The more you explore, the more you’ll fall in love. Puerto Rico is a great beach destination, and has so many wonderful beautiful beaches to explore. For more information on Puerto Rico’s beautiful beaches, visit our Greater Antilles Travel page. Read our Puerto Rico Travel Guide and plan a vacation of a life time to Puerto Rico. Puerto Rico boasts a pretty mild climate year round, with average temperatures consistently around 80. The peak of Puerto Rico travel season lasts from December to April, which is also the dry season. Crowds escaping the frosty US mainland in winter see hotel rates go up and seasonal attractions come to life with rates being the highest this time of year. In July, local families create a second high season, filling beach towns. August is the hottest month in Puerto Rico with an average temperature of 75°F and the coldest is January at 63°F with the most daily sunshine hours at 11 in August. The wettest month is February with an average of 22 mm of rain. The best month to swim in the sea is in September when the average sea temperature is 73°F. Puerto Rico’s tourist infrastructure takes a breather to regroup during shoulder season (Sep–Nov & mid-Apr–May), though there isn’t a significant fluctuation in prices or services. Low season is June-Nov, and things get pretty lethargic during hurricane season; some resorts offer discounted packages, but prices at small hotels don’t drop precipitously. 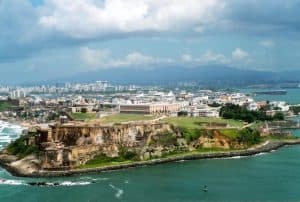 For a Caribbean castaway destination, Puerto Rico is well-connected, mainly thanks to an important airport and cruise-ship port in San Juan. A spread of carriers make frequent connections between San Juan and New York City and major airline hubs of the US, including Philadelphia, Boston and Miami. London, Oslo and Frankfurt are among the destinations with direct flights from the UK and Europe. The Commonwealth of Puerto Rico is a U.S. territory. There is no passport control or customs inspection for travel between the US mainland and Puerto Rico or vice versa. Luis Muñoz Marín International Airport, commonly known as San Juan International Airport is the main airport in Puerto Rico and the largest one in the Caribbean. This modern airport welcomes visitors from about 50 countries around the world. “SJU” (airport code) is the Caribbean hub offering many connecting flights to other islands in the Caribbean and other countries in Latin America. Puerto Rico is the most easily accessible island on the Caribbean with no passport required for US citizens. For those wanting to spend their vacation on the west coast of the island you can fly into the Aguadilla airport with daily flights. 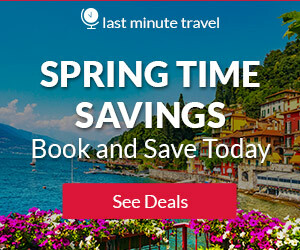 Even if you are not staying in the west coast, at times there are some really cheap flights deals, so it may be worth checking into, if you’re on a budget. Two great benefits of flying into the Aguadilla Airport are the short lines and quick check in process. A público is a shared taxi service and is much cheaper than taking a taxi around the island, and depending on your travel aspirations, might be cheaper than renting a car. Públicos, which run Monday-Friday, can be identified by their yellow license plates with the word “PUBLICO” written on top of the license plate. There are two ways of getting on a público. The easier way is to call the local público stand the day before and ask them to pick you up at an agreed time. This is convenient, but it’ll cost a few bucks extra and you’ll be in for a wait as the car collects all the other departing passengers. The cheaper way is to just show up at the público terminal as early as you can (6–7 a.m. is normal) and wait for others to show up; as soon as enough have collected, which may take minutes or hours, you’re off. Públicos taper off in the afternoon and stop running entirely before dark, usually around 4 p.m.
Públicos can make frequent stops to pick up or drop off passengers and may take a while to get to their destination terminal, but you can also request to be dropped off elsewhere if it’s along the way or you pay a little extra. Prices vary depending on the size of the público and the distance being traveled. For example, a small público that can seat three or four passengers from Ponce to San Juan will cost roughly $15, while a 15-passenger público that is traveling between San Juan and Fajardo will cost about $5 each person. Official tourism company-sponsored taxis on the Island are clean, clearly identifiable, and reliable. Look for the white taxis with the official logo and Taxi Turístico on the front doors. Under a recently instituted Tourism Taxi Program, set rates have been established for travel between San Juan’s major tourist zones. A government-regulated standard ensures that rates are stable, making taxis feasible for both short-distance trips to tourist centers and longer trips into more remote areas of the countryside. The taxis operate on a zone system, which means that certain taxis run only in certain areas, ensuring that travelers are able to establish flat-rate fares to their destination. The prices for each zones change regularly and you can find a listing of prices within each cab. If you are planning to explore outside of San Juan, renting a car is by far the most convenient way to get around. Rentals are available from the airport as well as larger hotels, and can be available for as little as $25 a day. Most national car rental companies are present at SJU, either on-site or fairly close to the airport grounds. There are also local companies that provide great service (and are usually cheaper than the national brands). Most of the rental companies that are off-airport provide a free shuttle service to their offices, just call ahead to inquire about the service. 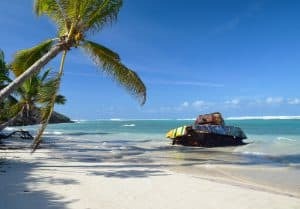 Many U.S. mainland car insurance policies and/or credit card companies will cover insured drivers involved in rental car accidents that occur anywhere in the United States, including outlying territories like Puerto Rico, so check with your own insurer before you rent a car in Puerto Rico. If you have such coverage, you can probably decline collision insurance from the car rental company and request only the loss damage waiver. 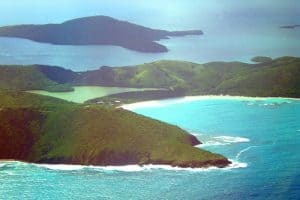 Culebra an archipelago of islands, says it all with two words “Flamenco Beach“, consistently ranked as one of the top 5 beaches in the world. Culebra offers the solitude and tranquility of a place that even though is not far, certainly feels like a world away. 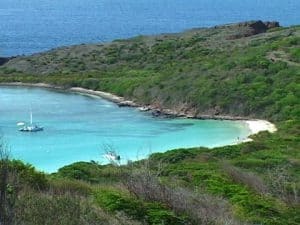 Culebra may be small and tranquil, but there are plenty of activities for nature lovers to keep visitors entertained with Culebra’s natural wonders. Enjoy hiking, snorkeling, scuba diving, kayaking, fishing, and sightseeing in awe inspiring places. If you’re the traveler type, Old San Juan is an authentic community where you can experience the exuberant, warm culture of one of the happiest places in the world. Puerto Ricans from all over the island come to San Juan to enjoy cultural fun events throughout the year. Tourists can enjoy a variety of interesting attractions, stay at elegant romantic hotels, shop at unique shops, play at San Juan Beaches, and savor exquisite cuisine. There’s a great variety of hotels, from modern, world class luxury hotels, to small inns for every budget, right in the heart of Old San Juan, giving you access to everything within walking distance. 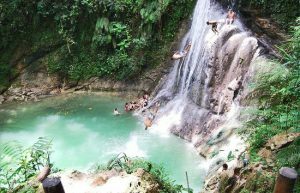 Caja de Muertos is one of Puerto Rico’s Nature Reserves, a municipality of Ponce. The island is a wonderful destination for beach and nature lovers seeking to experience the pleasures of an uninhabited island free of development. Caja de Muertos is the perfect day trip sure to be one of the highlights of your visit to Puerto Rico. On this island you won’t find any restaurants or stores, nature is king at Caja de Muertos. Nature lovers will enjoy activities such as birding, snorkeling, hiking and relaxation on a secluded nature reserve. Palomino Island, a private island perfectly capturing the essence of a secluded tropical paradise with the luxuries of a resort. Spend the day lounging under tall palm trees dancing to the wind, swimming, snorkeling, and enjoying water sports on gorgeous clear water with tones of turquoise and emerald green. This 100 acre oasis is for guests of the luxurious El Conquistador, a Waldorf Astoria Resort. Palomino Island is for the exclusive use of El Conquistador, a Waldorf Astoria Resort guests. You must be a registered guest of the resort with a room reservation. This Caribbean gem is an ecological reserve managed and protected by Puerto Rico’s (DRNA) Department of Natural and Environmental Resources. 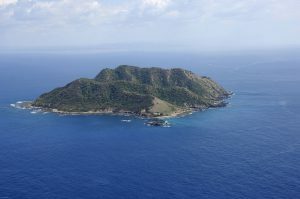 The island is uninhabited, but police and rangers from the Department of Natural and Environmental Resources are always on the island to manage visitors. Biologists are often on the island doing research. 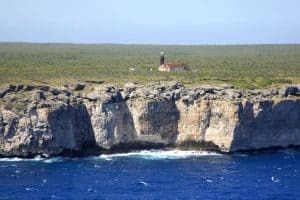 If you love adventure, cave exploring, a feeling of solitude, scuba diving, deep sea fishing, camping on the beach, stargazing, experiencing what it would be like on a secluded island, then Mona island ought to be on your Bucket List. 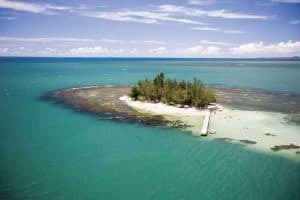 Isla Desecheo (Desecheo National Wildlife Refuge) is an uninhabited island located just 13 miles off the west coast of Puerto Rico. No one is permitted to step foot on the island. Desecheo is a wildlife refuge managed by U.S. Fish & Wildlife Refuge, responsible for managing, conserving and protecting the island. Anyone attempting to step foot on the island is subject to arrest by Federal law officers. 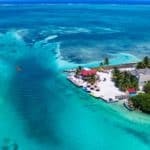 Various charters, most leaving out of Rincon, offer scuba diving and snorkeling trips due to superb reefs and clear waters with visibility as deep as 200 feet. 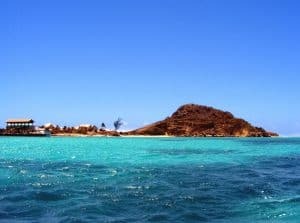 Isla Desecheo and it’s sister island of Isla de Mona are among the best scuba diving sites in Puerto Rico and the Caribbean. Locals claim that this magnificent bay, a designated wildlife preserve about 2 miles east of Esperanza, has the highest concentration of phosphorescent dinoflagellates not only in Puerto Rico, but in the world. A trip through the lagoon – take a tour – is nothing short of psychedelic, with hundreds of fish whipping up fluorescent-blue sparkles below the surface as your kayak or electric boat passes by (no gas-powered boats are permitted – the engine pollution kills the organisms that create the phosphorescence). Reservations are essential for boat and kayak tours in high season. Note that trips are often cancelled if there’s a full moon or if the waters are rough. 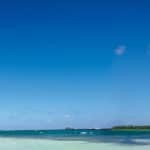 Stretching for a mile around a sheltered, horseshoe-shaped bay, Playa Flamenco is not only one of Culebra’s best beaches, it’s also generally regarded as the finest in the Caribbean. Backed by low scrub and trees rather than craning palms, Flamenco gets very crowded on weekends, especially with day-trippers from San Juan. Alone among Culebra’s beaches, it has a range of amenities. Weekdays are good for a visit, when crowds are few. Services include a collection of kiosks (selling snack food, lunches, rum punches and beer, and renting beach gear), toilets, outdoor showers, lockers, lifeguards, picnic tables and an often jam-packed parking lot. Camping is allowed. If you need a reason to hire a water taxi, Isla Culebra is it. This small island, just east of Playa Zoni, is part of the national wildlife refuge. 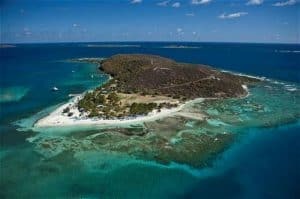 With its six beaches, tide pools, reefs and nesting areas for seabirds, Isla Culebra has changed little in the past 500 years. The north beaches, especially the long crescent of Playa Tortuga, are popular nesting grounds for green sea turtles – you might even see them swimming near the reefs just offshore. Bring a lot of water, sunscreen and a hat if you head for Isla Culebra – there’s little shade here. And don’t forget snacks and snorkel gear. Round-trip water-taxi service costs around $50 per person, including beach gear, hammock and snorkel set. Remote Playa Carlos Rosario is a thin, white-sand beach with one of the best snorkeling areas in Puerto Rico. This is mostly due to a barrier reef that almost encloses the beach’s waters; you can snorkel on either side of it by swimming through the boat channel – look for the floating white marker – at the right-hand side of the beach. But be very careful: water taxis and local powerboats cruise this channel, and swimmers have been hit. 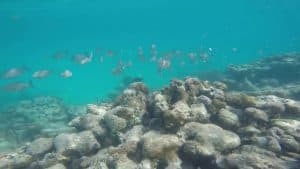 For truly spectacular snorkeling, continue working your way north along to the beach for about a half-kilometer to a snorkeling site called The Wall, which has 12m drop-offs, huge sea fans and rich colors. Sometimes a little piece of paradise lies in store even in the least obvious of locales, and Gozalandia is San Sebastián’s: a flurry of dramatic cascades 5km north of town that tumbles into some inviting plunge pools. The crashing river here is backed by steep forest and is a truly beautiful spot to spend some hours soaking up the quietude. There are two key cascades. At the lower it is possible to climb behind the waterfall, while at the upper, there is a rope swing. Near the parking area, the Sha’s restaurant rustles up great cocktails using fresh fruits, and it is rarely crowded. Almost 3200 acres once used for a sugarcane plantation have been given back to nature at this gem of a nature reserve. Mangroves and palm trees provide shade for lagoons that serve as havens for myriad birds and fish; turtles and iguanas are easily spotted too. Kayak the placid waters or bike or walk along the many nature paths. Bilingual signage provides interesting information about the reserve’s flora and fauna. Fishing poles also available for rent ($5 for three hours). Located just west of Punta Santiago. 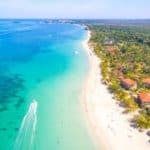 The heart of Playa de Joyuda’s 300-acre Reserva Natural Laguna de Joyuda is a sizeable saltwater lagoon with a depth that rarely exceeds 4ft. The sanctuary is of great importance to waterfowl and other migratory birds that come here to prey on more than 40 species of fish. Humans come here for the same reason. 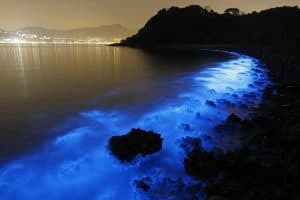 The reserve is also home to one of Puerto Rico’s famous bioluminescent bodies of water, like those in La Parguera and Vieques, but is free of commercial tourism. After dark, microorganisms give the dark water a green glow. Travelers with access to a kayak can launch a nighttime exploration of the lagoon. 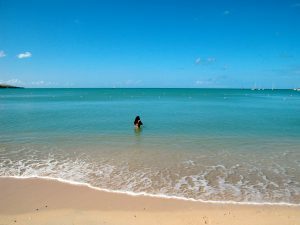 Fanning out immediately south of Boquerón town, the Balneario Boquerón ranks among the best public beach facilities in Puerto Rico. The 2km-long arc of sand gets insanely busy on high-season weekends, but it’s still big enough to carve out a relatively quiet space, and the beach area is backed by coconut palms and ample grassy lawns and showers, changing rooms, toilets and picnic tables. It’s designated as one of only a handful of Blue Flag beaches in Puerto Rico. Its manicured nature means it’s nice for families and swimmers, and it also boasts an area of cabins and villas where you can stay the night. Though hidden in a pink house without a sign, you’ll have no problems finding one of the western hemisphere’s best restaurants – just follow the excited hordes in the know. Reservations aren’t possible, so be prepared to wait on the sidewalk; your meal is definitely worth the minor inconvenience. The menu changes regularly – so much so that it’s written on a white board and presented to each table. Look for favorites like fresh fish with sides such as malanga (a taro-root mash), and local cheeses served with an amazing guava and papaya salsa. For more information call 787-725-3518, or visit them on the web at Jose Enrique. A mural of a cow with a toothy smile and a flower behind its ear will be the first sign that you’ve arrived at one of the best vegetarian restaurants in town. Cocobana has an extensive menu of innovative sandwiches, wraps, salads and smoothies – oh so many smoothies. Ingredients are fresh and local, prepared in an open kitchen, the bustling chef in full sight. Be sure to look beyond the menu though. The daily specials, served cafeteria-style, entice many meat eaters to the veggie side. The special includes a criollo main, rice and beans, salad, soup and a drink. All for 10 bucks. Swap in a smoothie for some extra change. For more information call 787- 268-7758, or visit them on the web at Cocobana. Punto De Vista Restaurant & Bar specializes in authentic Puerto Rican food cooked to order! They proudly claim to have the best Mofongo in San Juan which is confirmed by the 600+ reviews on Yelp at their previous location. We offer Bacardi Mojitos and have many varieties of rum. The only rooftop restaurant and bar in Old San Juan. For more information call 787-725-4860, or visit them on the web at Punto De Vista. Resting on a stunning beach front property that juts towards the ocean, Oceano combines the warmth of a Caribbean getaway with the vibrant energy of South Beach. For an oceanfront dining experience unlike any other, the menu combines an eclectic array of Puerto Rican and international cuisine infused with local herbs & flavors, matching your palate to the tropical breeze. For more information call 787-724-6300, or visit them on the web at Océano. At the forefront of modern-day dining, PB Ysla embraces Jose Mendin’s famed hospitality culture of superb service, food and flavor, and brings to the Caribbean island an upscale-casual dining experience in a comfortable and trendy setting. Set in the heart of an up and coming neighborhood in San Juan, the restaurant is down the road from where Chef Jose Mendin was born and his culinary story began. For more information call 939-355-0068, or visit them on the web at Pb Ysla. This small bar is located on Calle Sol in Old San Juan and to find it, just look for the purple building in the area. It is a regular spot for local writers to come together and share food and drinks. The bar features walls lined with Puerto Rican artwork and chessboards that guests are welcome to play. At El Farolito Bar, the staff are welcoming and are always happy to suggest the ideal cocktail or beverage to suit each person’s tastes. When visiting, make sure to try the chichaito. For more information visit them on Facebook at El Farolito Bar. Nuyorican Café, located on Callejon de la Capilla Street in Old San Juan, is a very lively place particularly after 11pm. There is a $5 cover charge on entry, but free salsa lessons are offered on certain days and drinks here are quite cheap, with cocktails costing $7. Try the tamarind margaritas to cool down from dancing and if you’re feeling like a late night snack, food is also available until 3am. 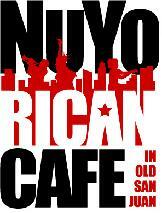 For more information call 787-977-1276, or visit them on the web at Nuyorican Cafe. 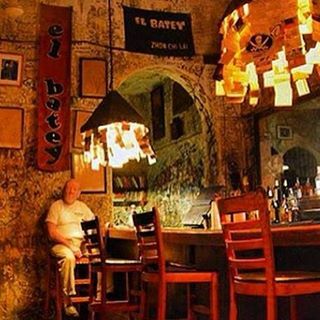 El Batey meaning ‘gathering place’ is appropriately named as this bar really draws in a crowd. Located next to El Convento hotel in Old San Juan, this dive bar bar serves lots of beer at about $3 a pop as well as basic cocktails. Graffiti covers the walls and an old-time jukebox adds to the vibrant atmosphere that patrons love about this watering hole. For more information visit them on Facebook at El Batey. This local watering hole, located on Loiza Street, has a unique interior resembling a barber shop. Hanging light bulbs are adorned with mustaches and the walls are decorated with similar hair-related artwork. At El Bar Bero, the fantastic cocktails are made to your specification. Bees knees is an excellent concoction made with gin that is highly recommended. To make sure you’ve made the right, and informed, choice, the bartenders give in-depth explanations about your drinks and the staff are able to answer any of your questions. 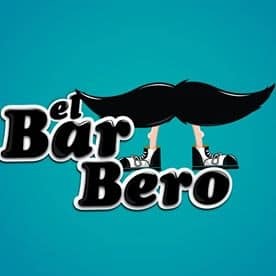 For more information call 787-473-8161, or visit them on Facebook at El Bar Bero. This intimate bar is located in Old San Juan and has a very romantic atmosphere. The award-winning bistro has won the Table Chef’s Hat Award for four years straight. To create the romantic ambiance, jazz pianist Carli Munoz serenades his patrons while they savor their cocktails. At times, he is accompanied by a cellist or a quintet. If you visit this venue, make sure that you sample the sangria and the excellent mojitos. Cocktail prices range between $8 – $13 dollars, making this bar very reasonably priced. For more information call 787-725-4927, or visit them on the web at Cafe Carli Concierto. Great site with so much info! My father was from Puerto Rico but I’ve never been and I’ve been wanting to visit there. 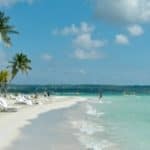 I’m glad I came across your post on Puerto Rich, as now I know where to go to plan my trip….you have everything I need! I am looking forward to meeting my fathers side of the family, and hoping all is well with them after the devastation they’ve experienced. Thanks for providing the UNICEF link its nice to see that you really care about the places you write about. I am sure it might be a while before I will be able to visit, but when I am ready I will be back to your site. Maybe you can help me with my travel when I am ready? Thank you so much, and yes I do care. Such beautiful places, and so much devastation. I am not sure how long it will take them to rebuild, I imagine a little while considering the damage they suffered. I would be glad to help you when you are ready to start making your plans. Thanks for reading the Puerto Rico Travel Guide! Oh wow! I don’t think you missed anything here. Thanks for putting this together. Very informative. As a surfer, Puerto Rico is on my list of places to go. But after reading this, it’ll be the NEXT place to go. Can’t wait! I’d assume the best time of the year for waves is in the winter!? Yes, November thru March is going to be the best time to go surfing in Puerto Rico. Hopefully they can rebuild quickly as a country so that visitors will be allowed back into their beautiful country. Thanks for reading! When I was at Fort Gordon, some of my best friends were Puerto Ricans. They told me I could get a ticket extremely cheap and since it is considered with the U.S. it would be a pretty easy passage. I plan on going someday soon, it is very beautiful. I need to brush up on my Spanish first! Great post. Thanks Patrick! Yes, you can go to Puerto Rico at a rather reasonable price. Hopefully, they can rebuild quickly and become the beautiful country they were before the hurricane. So you do have a little time to brush up on your Spanish! Thanks for visiting my Puerto Rico Travel Guide. The most precious of Puerto Rico after its people and beaches, is the food, when visiting this beautiful island, don’t forget to ask the famous MOFONGO,(green plantain) BI-FONGO (green plantain & yellow plantain) and TRI-FONGO(green plantain, yellow plantain & yucca). The Puerto Rican’s are artists with plantain recipes. hanI have never tried plantain. I guess I need to be adventurous and give it a try. Thanks for sharing and visiting my Puerto Rico Travel guide! Thank you 🙂 Puerto Rico really does have a lot to offer. 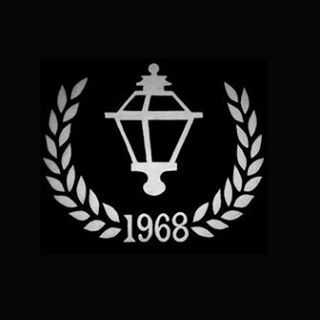 I hope and pray they can rebuild their beautiful country quickly. If I were on a limited time, I would visit Isla De Culebra and Flamenco Beach. That would be my top pick. Thank you for visiting my Puerto Rico Travel Guide! After reading this excellent guide, I want to go to Puerto Rico!! This is a great article, really informative and well written, I love the fact that you have covered everything, and I can now feel the temptation coming on to travel! Thank you, I will check out your other pages too…. now, where shall I book to go for my Xmas holidays?……. Lots of choices! So many actually to pick from. Please let me know if you have any questions about anything! 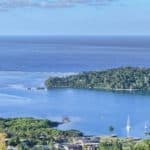 This is a great review of this fantastic looking tourist destination and it looks fantastic, just going on the images that you have posted on this article. There are so many places to see and visit and cost wise, it appears to be very inexpensive. Naturally being an island in the Carribean, it has beaches and turquoise seas to die for. Some of the island tours look very interesting and I suspect that in real life, they would make an even better experience for the visitor. You are very welcome Phil, and yes the beaches are even more impressive in person and yes, Puerto Rico is fairly inexpensive compared to other Caribbean destinations. Thank you for visiting BeachTravelDestinations.com. I have always been very interested in visiting Puerto Rico. It looks like such a beautiful place and rich in culture. Do you know if there are places to stay on Isla de Vieques? It looks gorgeous! 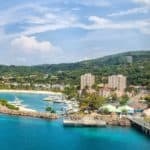 my wife and I are from Canada and don’t get to the Caribbean very often but this looks like our next destination–thank you very much for the information. Yes, stay at the Hacienda Tamarindo or the El Blok hotel. Both top rated and a guest favorite. Please let me know if you have any other questions and thank you for visiting the Puerto Rico Travel Guide. Wow! I love your website! My husband works in Oilfield construction and he has stayed a several of the places that you mention in Texas. When he was in Rockport he sent me a few pictures but they were nothing compared to what you have on your site. Don’t get me wrong, the pictures he sent me were beautiful but very few. I wish I could have went with him but at the time, I had a toddler at home and was expecting our daughter. We actually went to Galveston for our honeymoon and it was absolutely amazing. I’m actually planning a trip to go visit family in Palm Bay, Florida. Do you have any suggestions for places to go or things to see in the area? Palm Bay is close to Melbourne beach on Florida’s Space Coast. Oh, there is so much there and Texas beaches don’t come close to Florida beaches. I know, because I moved from Texas to Florida. Anyway, go to this link which is from my site and lists everything to see and do 🙂 Enjoy! Please let me know if you need anything else! I am all about going to a remote Caribbean beach destination and completely unwinding for a while, but sometimes I like a bustling area with plenty of restaurants in a walkable historic setting, like Old San Juan possibly. Are there good beaches within walking distance of the old section, or would we need to either lodge somewhere close by or maybe take day trips to the beaches and other areas from Old San Juan? There are beaches within walking distance to Havana, yes as it is fairly close to the coast. Puerto Rico is really a great beach destination that most would not consider. You would love it! Wow! I love traveling, but haven’t been to Puerto Rico yet… I’ve been reading your interesting and informative article and wondering if this is my family’s next destination… escaping New England cold and snow this coming winter, perhaps? Is there a parking problem in San Juan and/or other places (if we decide to get around by a rented car)? And what are these bio-organisms, which make the Mosquito Bay glow? How do people get to this beach? Is there a place to stay overnight? Thank you! You won’t find any real parking problems per se. At the most popular beaches, the parking will get full but you should not have a problem finding a spot. 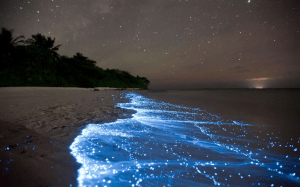 They are phosphorescent dinoflagellates which glow. The dinoflagellate cell membrane that responds to electrical signals—offering a potential mechanism for how the algae create their unique illumination. The following hotels are the closes to Mosquito Bay: Bravo Beach Hotel, W Retreat & Spa Vieques, El Blok Hotel, and Malecon House. Thanks for reading BeachTravelDestinations.com and all about our Puerto Rico Travel Guide. Excellent guide. Thanks for the thorough information. Since I am vegetarian, I would like to try out Cocobana, but I also want the atmosphere at Oceano. I wonder if there are vegetarian options there? I will be sure to check out Puerto Rico as soon as Irma passes! Its supposed to be one of the worst hurricanes in history. To anybody in Puerto Rico or elsewhere that is affected by this storm, my heart goes out to you! Oceano is a seafood restaurant and I looked at the menu and did not see any menu items that did not include seafood, other than the salads. The best choice for vegetarian is going to be Cocobana. I suppose you could still enjoy the atmosphere at Oceano and stick with the salad or side dishes 🙂 Thanks for visiting my Puerto Rico Travel Guide.